Yup, you read that right! 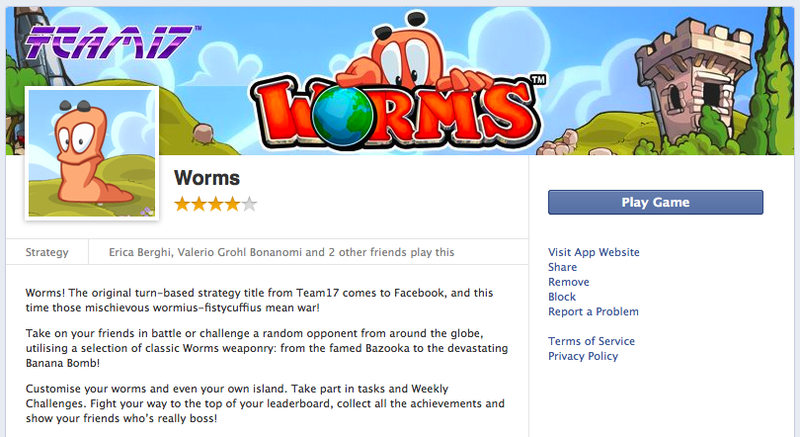 That gaming classic Worms from Team17 is now available to play on Facebook! After a closed beta period (that allowed the developers to fine tune the app) your favourite worm-warriors turn-based strategy game it’s open to all, and, even better, free (for now…just wait for some “extra contents”). “Worms! The original turn-based strategy title from Team17 comes to Facebook, and this time those mischievous wormius-fistycuffius mean war! 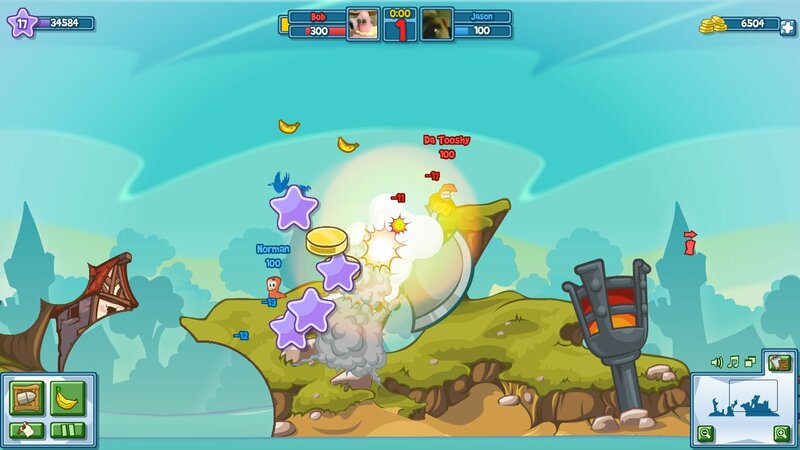 Take on your friends in battle or challenge a random opponent from around the globe, utilising a selection of classic Worms weaponry: from the famed Bazooka to the devastating Banana Bomb! Was Facebook distracting you from work, or from your relationships? Well, now you’re hopeless! PLAY IT HERE.